From its humble beginnings as a makeshift stage to its now-legendary status as one of the best concert venues in Southern California, the Hollywood Bowl is part of the rich tapestry of Hollywood history. This natural outdoor amphitheater has hosted performances by some of the most well-known and respected artists of every musical genre; from Frank Sinatra to Jimi Hendrix and everyone in-between, the Hollywood Bowl has been bathed in pure musical magic for decades. Fender Custom Shop Master Builder Yuriy Shishkov captured and distilled that mojo, adding a healthy infusion of Fender's timeless style and history with the incredible Front Row Legend Esquire. 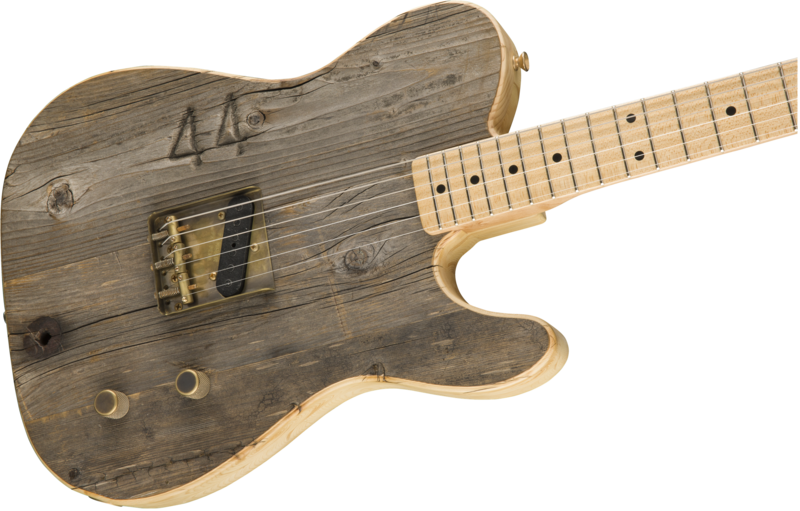 This guitar is crafted from 100-year-old Alaskan yellow cedar reclaimed from the original bench boards that have been resonating with the sounds emanating from “The Bowl” since 1919. 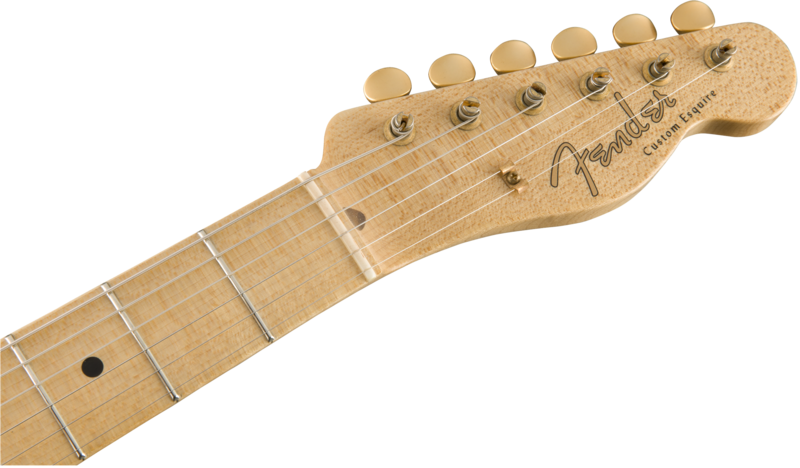 The heritage of the Front Row Legend Esquire doesn't stop with the wood; its design is based on the legendary single-pickup precursor to the Telecaster. This guitar has the same punchy tone and snappy attack that vintage Esquire guitars are known for, but with the added touches only a Masterbuilt guitar can have. Vintage enthusiasts are sure to love everything about this guitar from its ‘60s-style “Oval C”-shaped quartersawn maple neck, 7.25"-radius fingerboard and vintage frets, to its original-spec Broadcaster bridge pickup, oxidized brass hardware and push-pull volume pot for additional tonal flexibility. The wood's original patina, with its cracks, bolt holes and scratches is preserved, and the boards were hand-selected for the coolest and most distinct markings. Every guitar also has a different original "seat number" on the top of the body, so each is truly unique. An ultra-thin satin finish is then applied to preserve the look of the wood in its original condition. 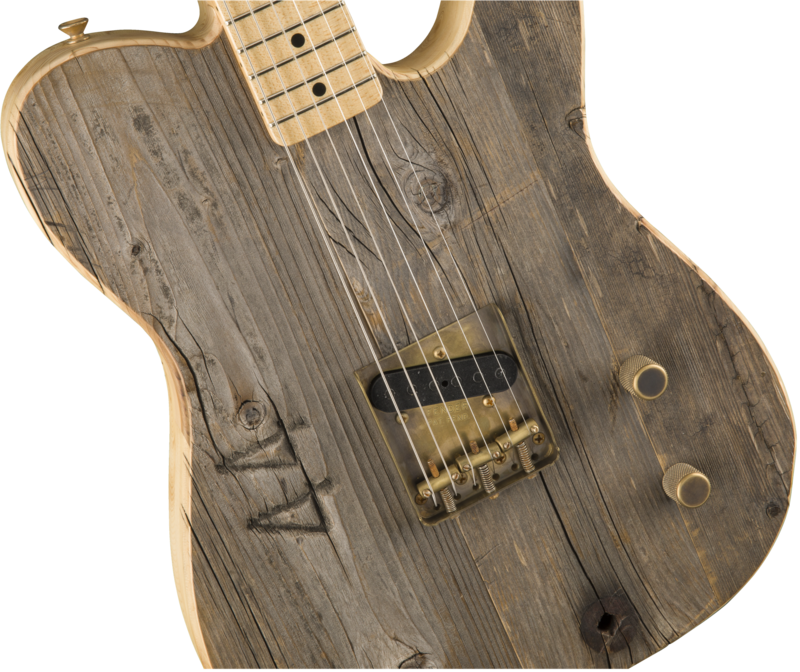 Hold a piece of history in your hands and join the ranks of the legends that have graced the Hollywood Bowl's stage with the Front Row Legend Esquire. 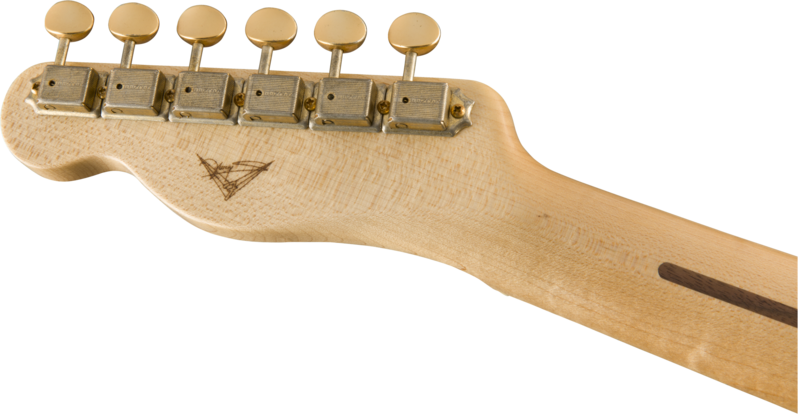 Neck Shape: '60s Oval "C"